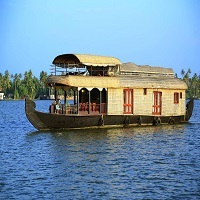 Nissi Tours and Travels is an established name in the travel community of India and licensed to provide houseboat booking services to inbound and domestic travelers. We are based in Kochi (Kerala, India) and we help clients in comparing different deals and selecting the right one that suits their budget, dates and other preferences. House boating can be the most comforting experience for any age, type and size of people. And, we can be useful for booking, well maintained and spacious boats in advance or urgent basis. So, get associated with us and have fun on a houseboat in any way you can think of.